Sterling previously called Nets' games from 1975-80 and Hawks' games from 1981-89. 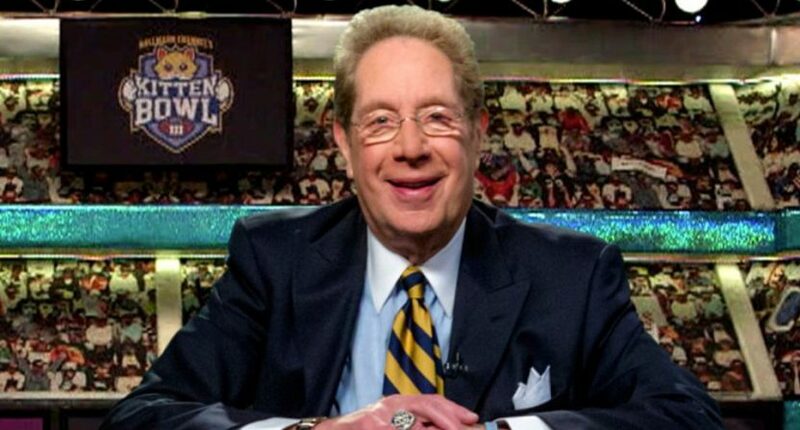 While John Sterling may be most known for his work as the New York Yankees’ primary radio play-by-play voice (he’s been in that role since 1989), he has a long history of calling other teams and sports too. In December, Sterling will return to some of those roots, calling a December 16th NBA game on YES between the Brooklyn Nets and the Atlanta Hawks. Longtime New York Yankees radio play-by-play man John Sterling, who handled play-by-play duties for the New York/New Jersey Nets and later for the Atlanta Hawks, will call an NBA game featuring both franchises on Sunday, December 16, when he does play-by-play on the YES Network’s telecast of the Atlanta Hawks-Brooklyn Nets game from Barclays Center in Brooklyn. The game telecast is at 3:00 pm ET, with the pre-game show beginning at 2:30 pm ET. Sterling’s basketball broadcasting tenure started when he called Baltimore Bullets’ ABA games in 1970-71, and he then was the Nets’ full-time TV play-by-play voice from 1975-80 (a stint where they had Julius Erving and won an ABA championship in 1976, then moved to the NBA later that year). He did play-by-play for the Washington Bullets in the 1980-81 season, then headed to Atlanta, where he called Hawks’ games from 1981-89 and came up with lines such as “Dominique is Magnifique!” for Dominique Wilkins. That’s part of Sterling’s long and varied career, which has also seen him call hockey (with the WHA’s New York Raiders and the NHL’s New York Islanders), football (the WFL’s New York Stars), other baseball (the Braves from 1982-87), and even the 2013 Kitten Bowl (seen above). And it’s interesting to see him returning to NBA coverage, even if it’s for one night only. On the December 16th broadcast, Sterling will be joined by analyst Sarah Kustok and courtside reporter Michael Grady. We’ll see if he breaks out any singing, grocery lists or anything else, but this should certainly be an experience.